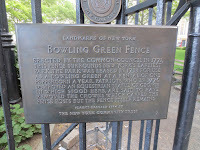 Bowling Green, the oldest park in New York, is a small green space just above the Staten Island Ferry and Battery Park. The park is very small but has a long history. A gilded lead statue of King George III was erected here in 1770. On July 9, 1776, after the first public reading in New York State of the Declaration of Independence, this monument was toppled the crowd. The horse and rider were dragged from the pedestal and broken to bits. Angry citizens planned to impale head of the king upon a stake and kept it aside. But by the next morning the head had been stolen by Tories (tory-anyone who remained loyal to the British Crown). A year later the governor of Massachusetts Thomas Hutchinson wrote in his dairy that he saw the head in the home of Lord and Lady Townshend in England. 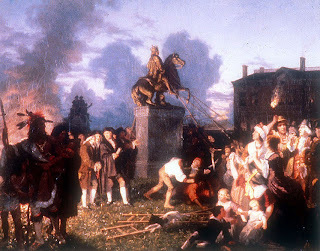 Fragments of the statue were shipped to Norwalk in Connecticut and after that transported to Litchfield and melted into bullets for the Revolutionary troops. At Litchfield Gen. Oliver Wolcott built a shed in his orchard and supervised a group of family members and neighbors in casting 42,088 bullets, 20 bullets per pound. This count was recorded in a document that survived. No one noticed at the time that a statue of 4,000 pounds, at 20 bullets to the pound, should have yielded almost twice as many bullets as the 42,088 produced. Fifty years later missing pieces began to surface. It is believed that the kitchen step of the mansion of the Cornelius Van Vorst, the twelfth Mayor of Jersey City, was originally the base of the statue. In 1874, Van Vorst donated the stone to the New York Historical Society. 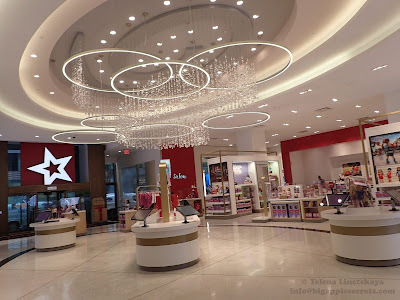 The latest discovery happened in 1970 in the town of Wilton, Connecticut .By the way, In 2007, Wilton was voted as one of CNN Money's "Best Places to Live" in the United States. The oxcarts with the pieces of statue stopped for overnight on the fay from Norwalk to Litchfield at the Clapp Raymond Tavern. City resident, using a modern metal detector, discovered a 20 lb. piece in the swamp, but without permission of the property owners. He sold the piece to the New York historical Society for $5,500. The property owners sued and won after a six-year court fight, and then agreed to go through with the sale to the museum for the same price. You can see other parts of the monument in this museum. 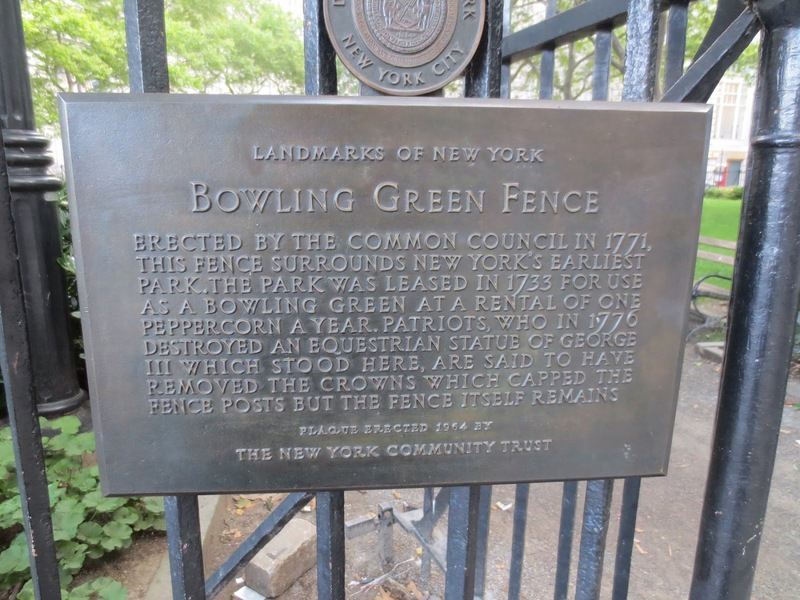 There is no monument in the Bowling Green Park in our days, but the fence survived. If you look at the large posts of the fence you’ll find that they are uneven and the saw marks still visible today. 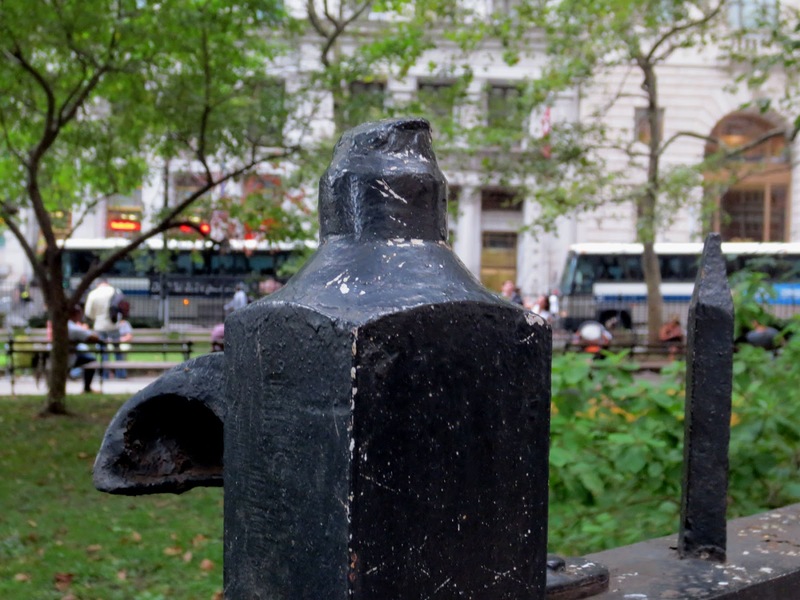 One of the legend says that there were cast-iron crowns on the posts. After the war the nearby Old Dutch Fort was demolished to build a presidential mansion for George Washington. The first president never occupied the mansion but it become the official home of New York’s governors. Bowling Green was used as the private garden for the governors. Washington did not live there but he has still has a strong connection to the area. A wooden statue of Washington stood for 51 years in the center Bowling Green. 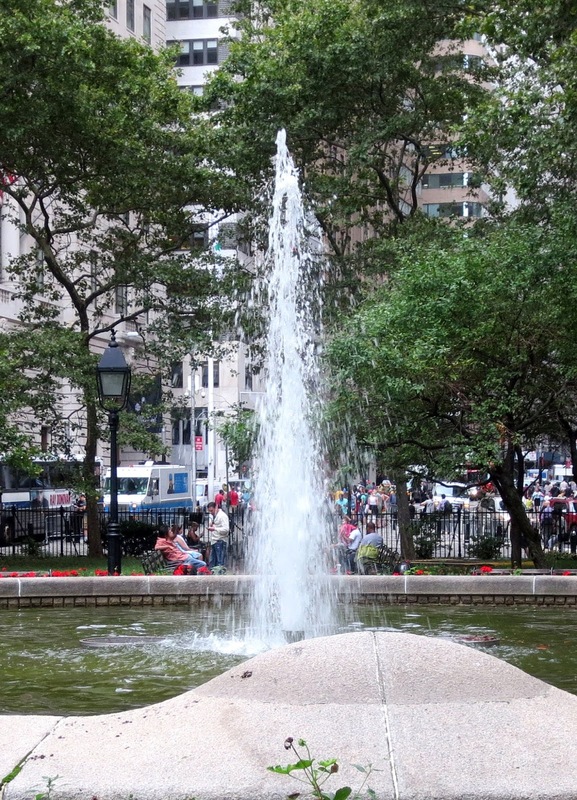 The statue was removed during 1843 by city authorities. Left in the hands of a private collector for 40 years, it was sold for $300 after his death. 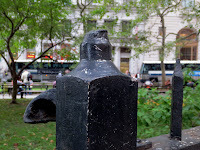 The statue was placed atop the temporary wooden arch , that stood at prior to the current marble structure on the Washington Square in New York. 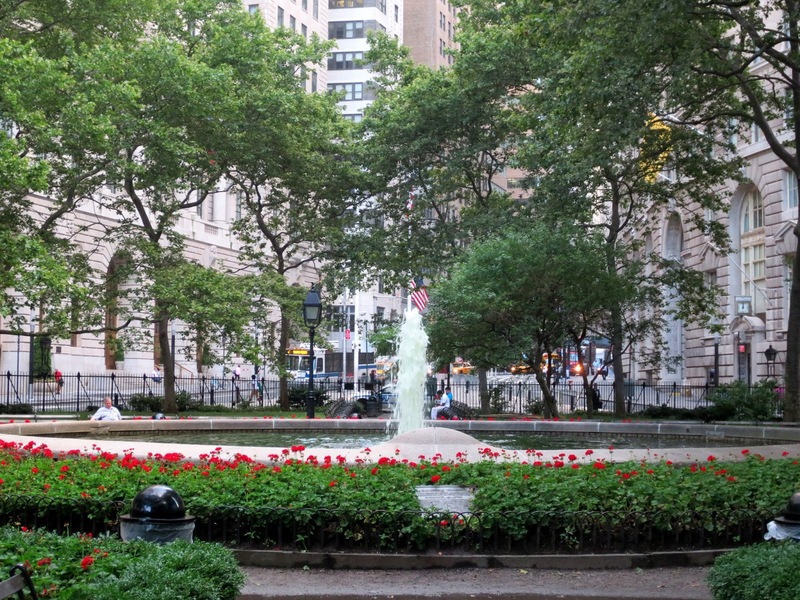 By the late 18th century, Bowling Green was the center of New York’s most fashionable residential area, surrounded by rows of Federal-style townhouses. It was neglected in the middle of the 20th century and later restored to its 18th-century appearance. New lampposts and benches were installed. Publisher and philanthropist George Delacorte donated the park’s central fountain. 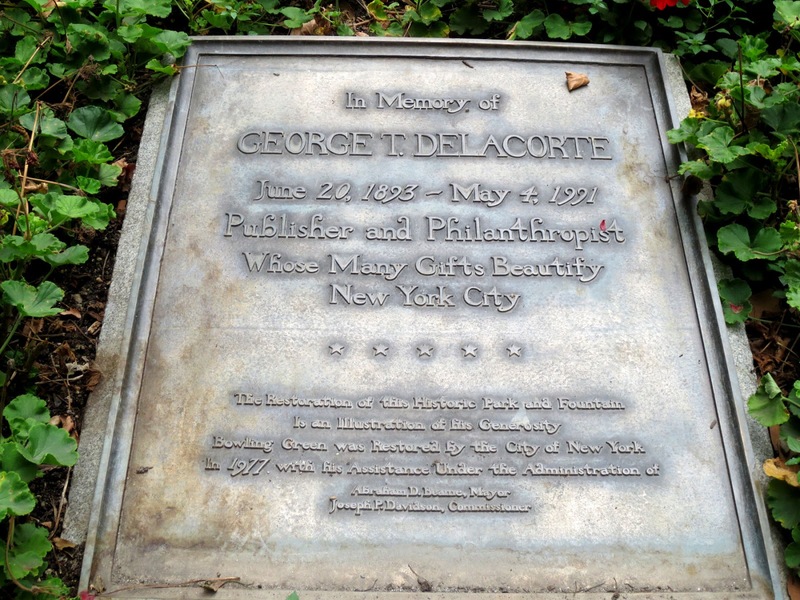 George T. Delacorte, the founder of the Dell Publishing empire, also donated money to establish the Delacorte Theater, sculpture of Alice in Wonderland and Musical Clock in Central Park. Wi-fi access make it a popular lunch spot. 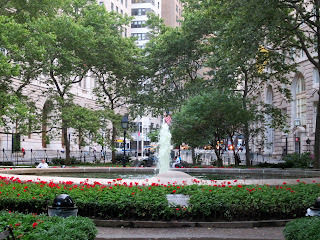 On summer Tuesdays and Thursdays, a there is a greenmarket on Broadway and Battery Park Place from 8 a.m. to 6 p.m.